Yellow Buses has been named as the top operator in Bournemouth and Poole – and joint third nationally – in the latest Bus Passenger Survey. The annual bus survey, produced by the independent watchdog Transport Focus, quizzed more than 48,000 bus users across England, Scotland and Wales about aspects of their journey. Yellow Buses’ overall bus journey satisfaction score was 93 per cent compared to a national average of 88 per cent. The top operator scored 96 per cent. Across all four main categories in the survey – overall satisfaction, punctuality, value for money and on-bus journey time – Yellow Buses was the top operator in Bournemouth and Poole. Bournemouth was also named the top local authority area in England for bus passenger satisfaction, tying with Northumberland on 94 per cent. Poole scored 86 per cent. 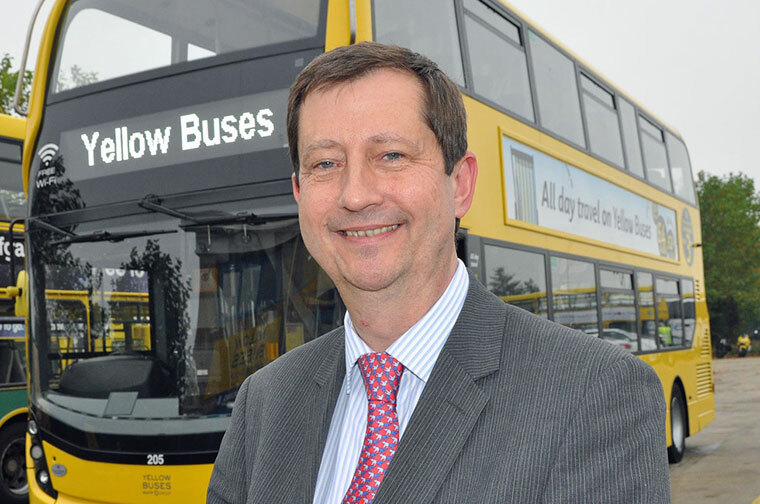 David Squire, managing director, said, “This is the first time that Yellow Buses has featured in the Bus Passenger Survey and I am very pleased with the result. “It’s a huge tribute to our hardworking and dedicated team and shows that our passengers really value the service we provide. “Yellow Buses is entering a new era as we prepare to launch our revised network from 8 April with a return to a simple numbering system on colour-coded routes.